Castel San Pietro Romano, situated 760 meters above sea level, rises above the ancient acropolis of Palestrina. 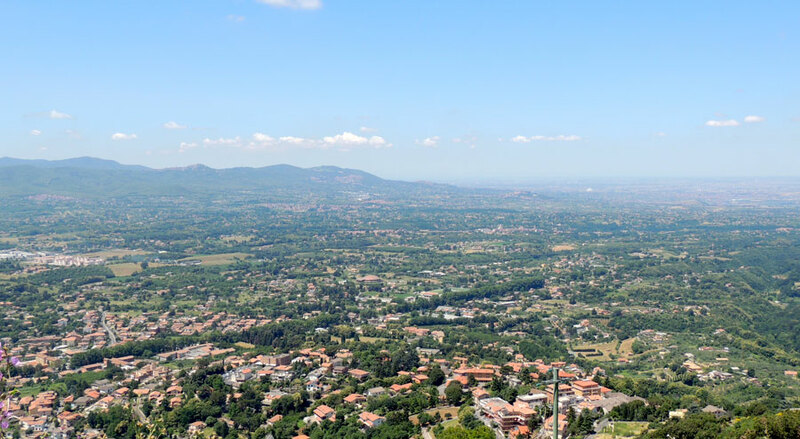 From here one can easily admire the ancient city of Rome, the Albani foothills and their surrounding castles. 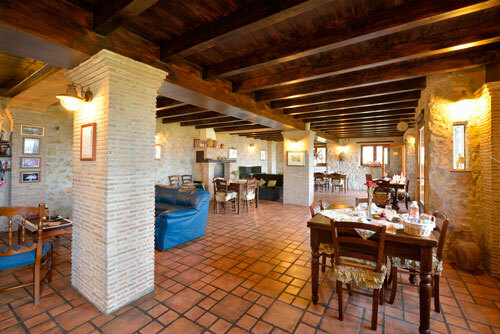 Castel San Pietro Romano offers an ideal setting as the cavea of a large natural theater, where the sunset provides a striking sight above the sea in the space between the mountains and the foothills. The centuries old village of Castel San Pietro, well preserved despite the passing of time, has been the filming site for many important movies. The narrow cobblestone streets and picturesque town squares of this characteristic location have been the perfect setting for many Italian films where actors such as Gina Lollobrigida, Vittorio De Sica, Totò, Tognazzi, Manfredi, Stefania Sandrelli would make frequent appearances. Places of interest to visit include: Rocca dei Colonna, the city walls made of Cyclopean masonry, and inside the church of St. Peter there is a beautiful painting by Pietro da Cortona. Interlaced throughout the wooded foothills of the area are well-marked hiking paths which go through chestnut groves, grazing pastures, oak groves, and even through the Cannucceta Nature Park. 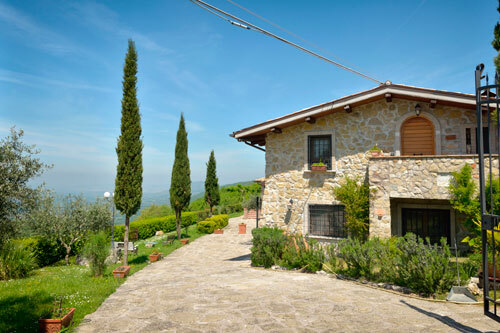 The Casale delle Ginestre B&B, immersed in the Roman countryside and situated on the highest crest of Monte Arzillo, is an ideal place to relax after your excursions to Rome and the surrounding area. We offer carefully decorated premises with private rooms and bathroom, spectacular views and an ample living room where a generous breakfast is courteously served by the owners who are pleased to be at their guests’ complete disposal.